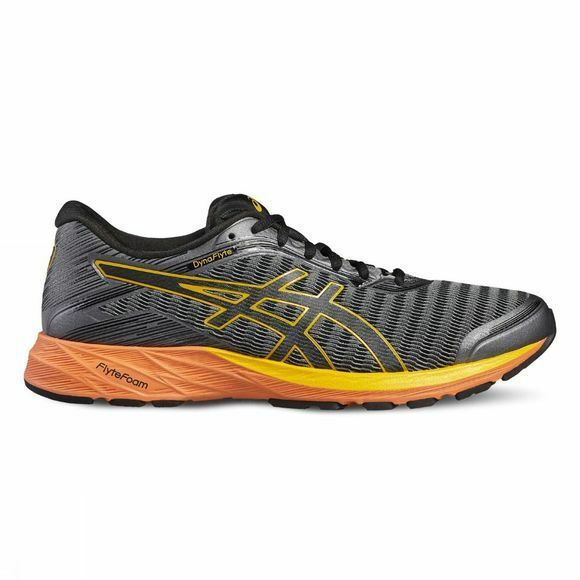 Fast and resilient for an amazing road running experience, prepare to take flight with the ASICS Dynaflyte. Featuring a FlyteFoam technology that utilizes organic fibers that are embedded into the foam, this trainer offers lightweight cushioning with plenty of energy return. An impact guidance system further creates a smooth transition and a seamless upper offers an irritant free wrap to keep your feet happy mile after mile. Reinforced fibers allow the FlyteFoam material to bounce back to its original shape after every run. FlyteFoam technology offers unmatched cushioning making it feel like you're not even touching the ground. 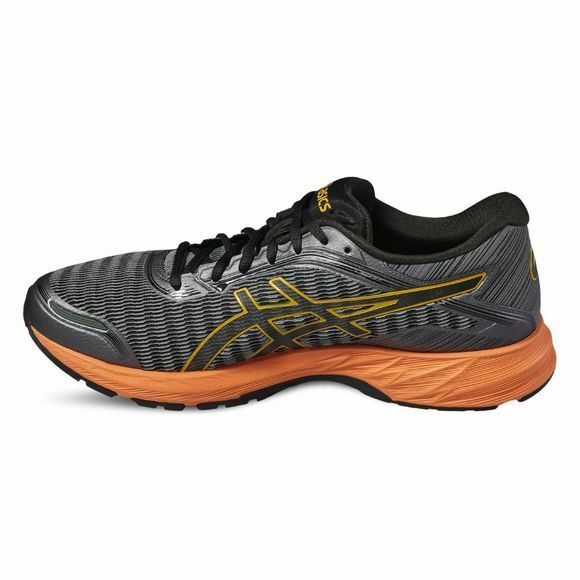 FlyteFoam is the lightest cushioning material ASICS has ever made, 55% lighter than the industry standard (EVA).